Non-traditional affiliates may be issued a UCF Card with proper verification of identity and authorization from a university department. All UCF designees authorized under the DAL, have the authority to authorize affiliates such as visiting scholars (including J-1), contractors, vendors, consultants, volunteer/courtesy faculty or other non-traditional university personnel. UCF Card Services requires that all university designees authorized under the DAL must request a UCF Card through our online request form. All non-traditional affiliates or their departments would be required to pay a $10 fee for their first card at the time of issuance and $15 for replacements unless prior arrangements have been agreed upon and approved by UCF Card Services. 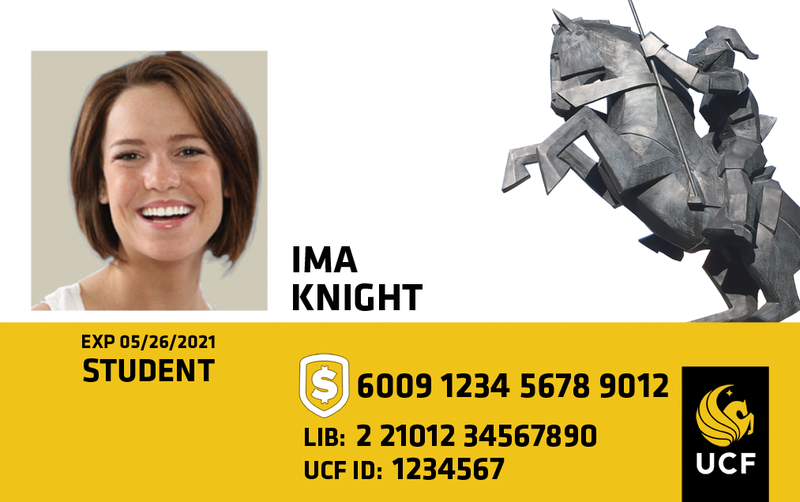 UCF Card requests expire at the end of the semester the request is made. Please be sure that the student, employee or visitor receives their UCF Card at UCF Card Services during the current semester or another request will need to be made. If the department is paying for the request, a charge will not be made until the UCF Card is issued. Do I need to fill out a UCF Card request form? It is important to note that new USPS, OPS, and A&P/Faculty hires who are redeeming their first time UCF Card do not need to fill out this request form. However, if the department is paying for a replacement UCF Card, then this form will be necessary. 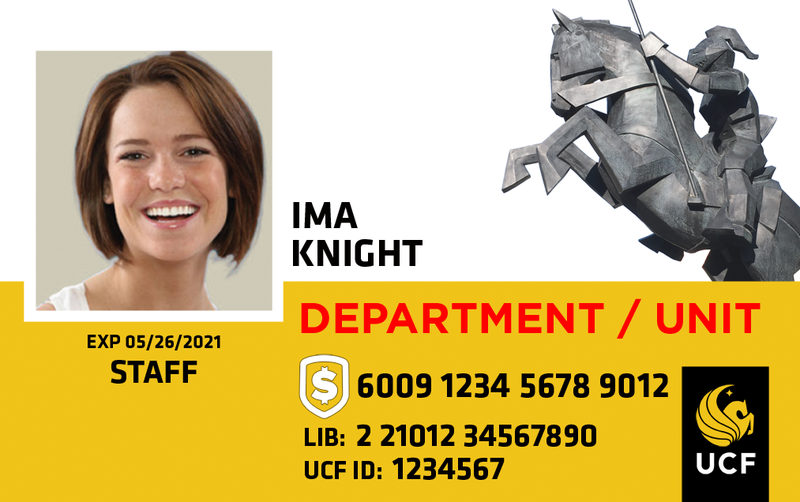 The UCF Card/Badge form is to be used by the following authorized departments: UCFIT, Housing & Residence life, Student Health Services, Facilities & Safety. All other departments use “UCF Card” form. Badge requests expire at the end of the semester the request is made. Please be sure that the student or employee receives their Badge at UCF Card Services during the current semester or another request will need to be made. If the department is paying for the request, a charge will not be made until the Badge is issued. Badge requests expire at the end of the semester the request is made. Please be sure that the retiree receives their Badge at UCF Card Services during the current semester or another request will need to be made. Badge requests expire at the end of the semester the request is made. Please be sure that the student or employee receives their Badge at UCF Card Services during the current semester or another request will need to be made. Students must pay $10 for their Nursing Badge when it is issued. Please download and fill out the excel template for nursing badges. By submitting this request, I certify that I am a faculty/staff member authorized to request nursing badges. I understand that requests submitted by students will be rejected.